HomePonding Water 101Ponding Water 101Are Solar Panels a Good Option for Flat Roofs? While solar panels were not that common years ago, today it’s not that unusual to see them on homes and buildings. Just because you have a flat roof doesn’t mean you can’t install solar panels. You just have to account for a few additional expenses, such as for mounting equipment, which is used for angling the panels toward the sun. In most cases, solar panels for flat roofs are on self-supporting frames that can provide the best directional orientation and tilt. Here are some of the many benefits of using solar panels, along with a few basic considerations. 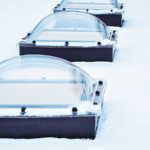 Solar power offers several advantages. Improved energy efficiency is a huge perk. As a result, you can save on energy bills. Probably the main advantage is that solar energy entails a smaller set-up than what is involved in installing geothermal or wind power. Solar power is renewal energy, making it environmentally friendly. When you install solar panels on your roof, you can help in reducing greenhouse gas emissions. An increase in the value of a home or building is another reason for more people using solar panels. Keep in mind that solar panels offer aesthetic value, in addition to practical benefits. Monocrystalline silicon solar cells are so-named because they’re constructed of monocrystalline silicon. Also known as single-crystalline silicon, this type of solar cell has a cylindrical shape and a uniform appearance. The external color is usually black or sparkling blue. Polycrystalline solar cells have a light or dark blue color. But unlike monocrystalline cells, the color is not uniform as some patches are darker than others. These solar cells don’t look like monocrystalline cells because they’re manufactured differently. There are also thin-film solar cells, which are made from several kinds of materials. An advantage of this type is that it’s more affordable. Thin-film solar cells are categorized by the type of photovoltaic material that’s dropped into the substrate. Solar panels require minimal maintenance and only need to be cleaned about twice a year. Because they don’t have any moving parts, they don’t suffer from wear and tear. The only component that needs changing is the inverter. This should be done after five to 10 years. To clean your solar panels, wash the face of each one, using a regular garden hose. Don’t do this during peak sunlight hours, but reserve this job for early morning or evening. Never spray cold water on hot panels because this can cause them to crack. Also, have your panels inspected for debris or dirt a few times each year. Consider if you want a single panel or a full-system unit. When determining what a solar power system really costs, it’s important to know how much solar energy is in your particular region. The cost of panel installation can vary, according to the composition and design of a roof. Other cost considerations may include financing options, incentives that are offered and the production capabilities of a roof. It’s imperative that your solar panels are installed at an ideal tilt angle on your flat roof. They should also be positioned at the best orientation for your latitude. You’ll want your system to be able to provide your home or building with the maximum amount of electricity for where you live. Horizontal panels don’t do as good a job of self-cleaning as tilted panels do because it’s more likely for dust to accumulate and compromise electricity. On the other hand, panels that are slightly tilted can be easily washed clean after a rainfall. Do you have a flat roof? If you do, you probably already know that rain can cause a problem, known as ponding. 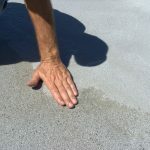 This occurs when rainwater collects on a flat roof, following 48 hours from rainfall. 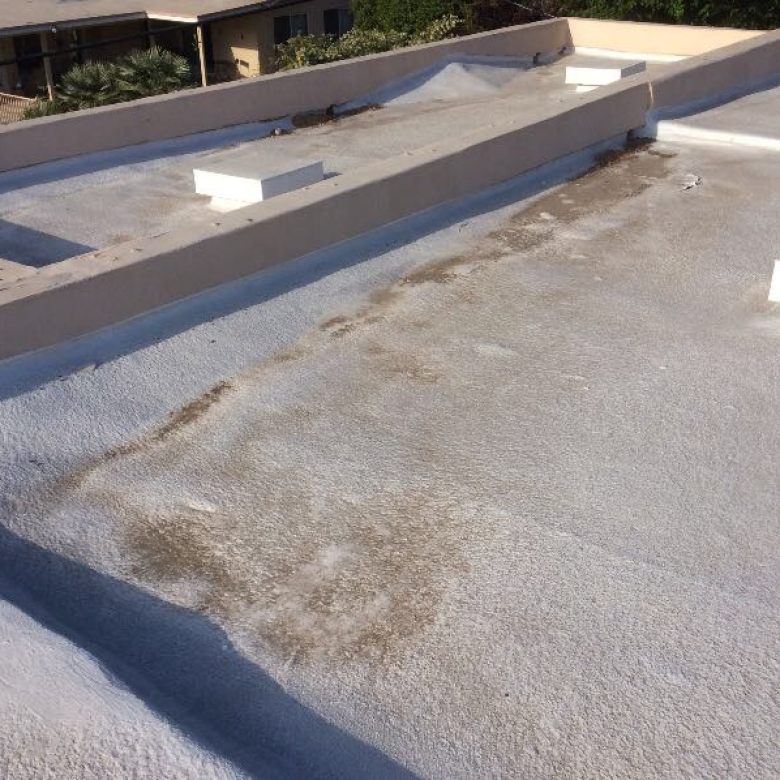 At RoofSlope we have an exceptional product that’s designed to prevent this issue. 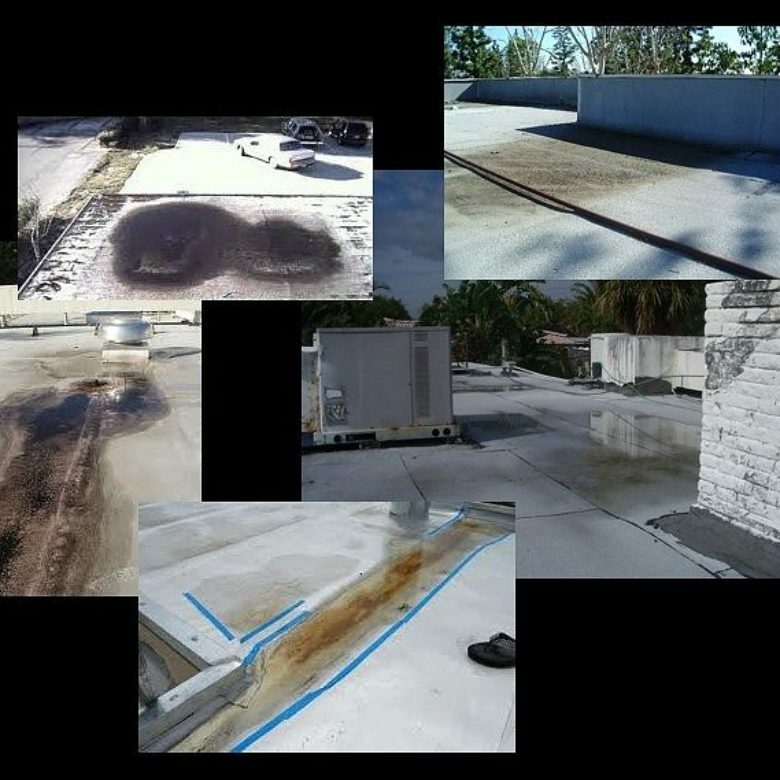 Please contact us and learn more about our RoofSlope product that gives you a simple, quick method for filling in low spots on flat roofs so that there’s appropriate drainage.